Roxana Del Toro wearing the “Money Hat” which is a very eye catching way to sell raffle tickets to help raise funds for Monterey Park’s annual fiesta. Residents and their guests filled the seats in the Barnes Park Amphitheater on May 5 to enjoy the sights, sounds and tastes of Mexico. 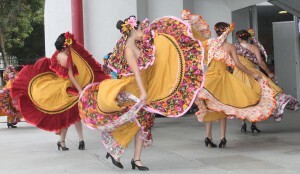 Cinco De Mayo is a celebration of the Battle of Puebla in 1862. Mexican volunteer soldiers led by Mexican General Ignacio Zaragoza fought a fierce battle against the professional French soldiers sent by Louis Napoleon to conquer Mexico. This victory by Mexico began the defeat of the French and the restoration of Mexican sovereignty. The fiesta included food booths that sold delicious Mexican dishes, shaved ice, hot dogs and kettle corn for all to enjoy. 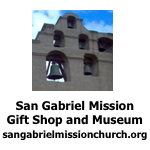 Information booths that sat on the hill side provided facts and handouts from the San Gabriel Water District, the American Cancer Society, Monterey Park Voters Registration, the Lions Club Ham ‘n Eggs Breakfast and garden tips from Supervisor Gloria Molina. Trio Jacaranda sang and played several Mexican folk songs as the audience joined in the songs in Spanish. Mayor Teresa Real Sebastian, Mayor Pro Tem Anthony Wong, Councilmembers Hans Liang, Peter Chan and Mitch Ing, City Clerk Vince Chang and City Treasurer Joseph Leon joined the party. 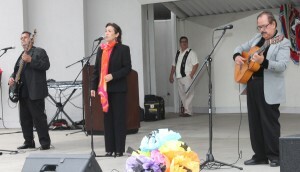 Mayor Real Sebastian welcomed everyone to Monterey Park’s Cinco De Mayo celebration in both Spanish and English. 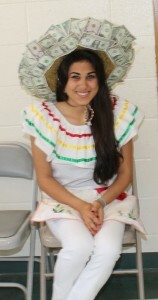 She is honored to celebrate the culture and love of Mexico. We have so many different cultures in the city. We are a melting pot in Monterey Park. We must remember all of the sacrifices our families made for our freedoms. Enjoy the day. 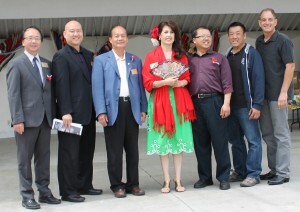 Mayor Pro Tem Wong greeted the guests with Happy Cinco De Mayo. It is a beautiful day to celebrate. We are faithful to our country. We make Monterey Park and the United States of America great. We must all work together for a happy and peaceful life in Monterey Park. Councilmember Liang reminded the audience that today is the 31st Annual Cinco De Mayo celebration in Monterey Park. 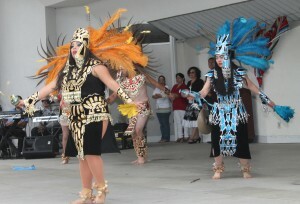 It is a great opportunity to celebrate our great culture in our city. He thanked the volunteers, donors and the committee for this event. Enjoy. Councilmember Chan wished a Happy Cinco De Mayo. He recalled that 20 years ago he introduced line dancing and Chinese folk dancing to Cinco De Mayo. Diversity makes Monterey Park great. We should learn from each other. Enjoy. Councilmember Ing agreed that Monterey Park is a great melting pot. People from all cultures settled this country. Today we are celebrating that ordinary people bonded together for the good of their country. Thank you for coming. Enjoy. City Clerk Vince Chang greeted the crowd in both Spanish and English. He reminded the residents that they could register to vote today if they are eligible. Voting is the most important right in the USA. Enjoy your day. City Treasurer Joseph Leon also greeted the audience in both Spanish and English. He thanked them for being here to celebrate today. Have a great day. 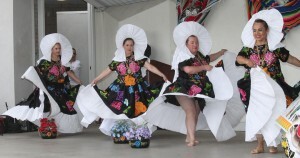 Dancers from Ballet Folklorica Esperanza performed several traditions folk dances to delight of the audience. 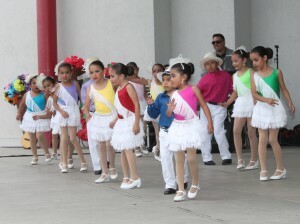 The performers are all students who enjoyed dancing to the clapping of the crowd. The party continued with performances by Hermano Ornelas, Miguel Conniff & Sus Rumbaleyros and Mariachi Relampago. 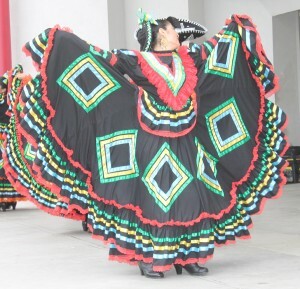 It was a wonderful celebration of the Mexican culture in Monterey Park.